Last Call is a new documentary film that tells the story of the groundbreaking 1972 Limits to Growth study. With a wealth of high-quality historic footage and extensive interviews with the core Limits to Growth team, Last Call explores the thinking leading up to the study, the storm of controversy it sparked upon its publication, and the ways the sustainability narrative has changed over the past four decades. At its core, it is a revealing look at the complexities and roadblocks involved in creating a paradigm shift–even one grounded in good data. More screenings are on the way! Check out our Community Events page for information about upcoming screenings in the New Hampshire/Vermont area. If there are no screenings in your area yet, why not organize one at your local library or town hall? We are eager to work with community organizations to organize further screenings where there is interest. Please contact us for more information by emailing info [at] academyforchange [dot] org. 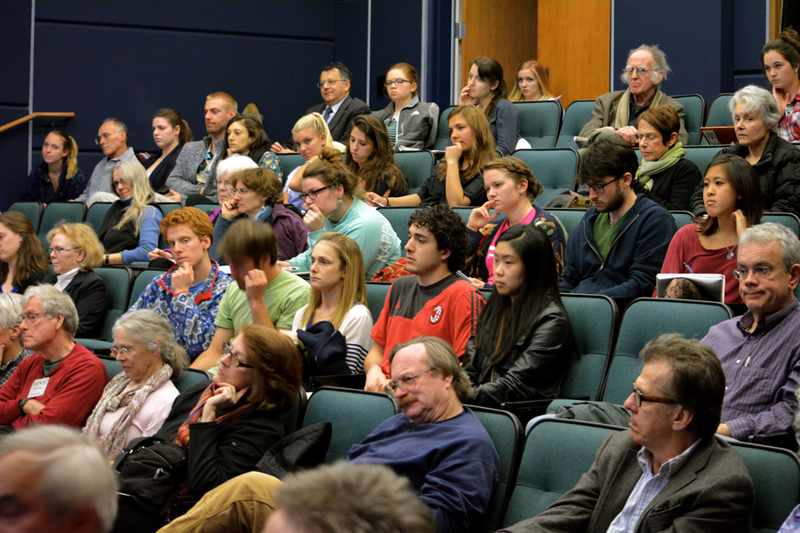 Students, Upper Valley sustainability leaders, and community members contributed to a lively discussion about messaging, personal action, and more after watching Last Call. 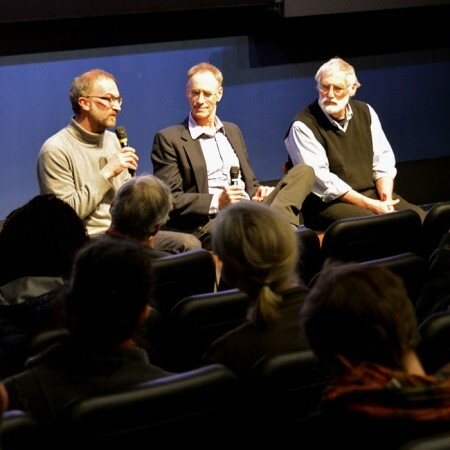 Last Call Director Enrico Cerasuolo (left), Dartmouth Biology Professor David Peart (middle), and Limits to Growth co-author Dennis Meadows lead the discussion following the April 1, 2014 screening of Last Call at Dartmouth College.